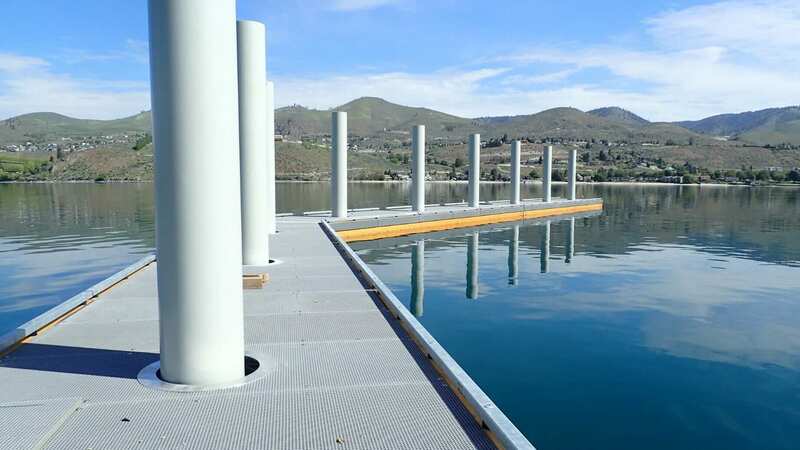 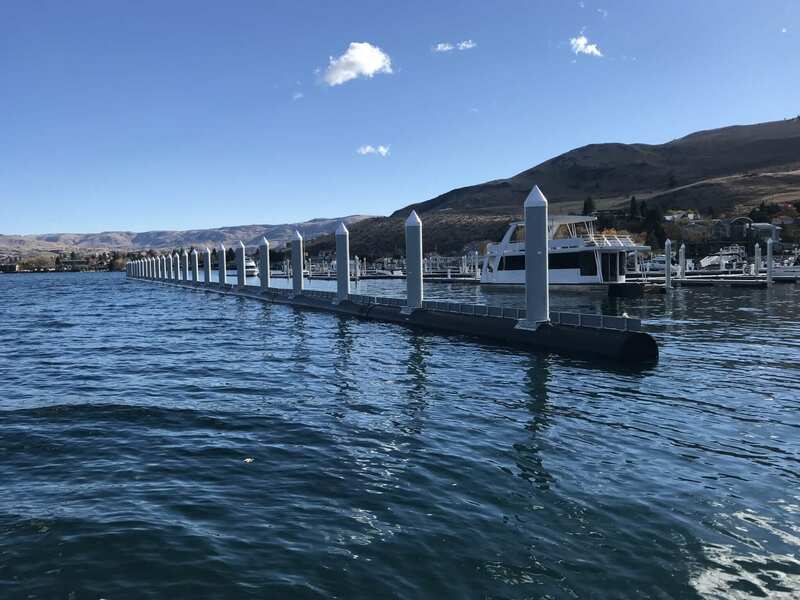 The float system is comprised of nearly 1,200’ of wave attenuation and 168 recreational boat slips ranging from 24’ to 43’. 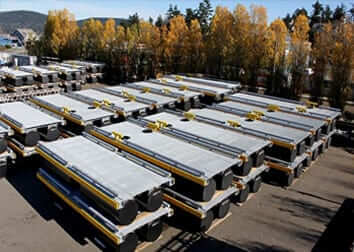 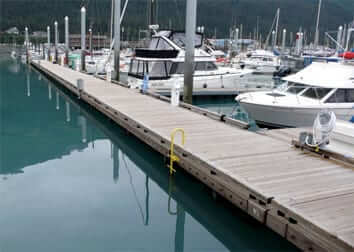 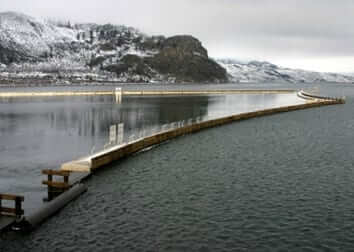 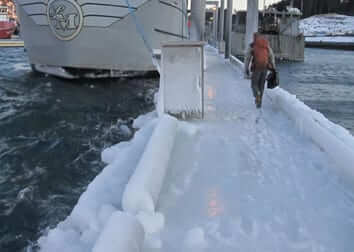 The attenuators and moorage floats were required to remain fully functional year-around. 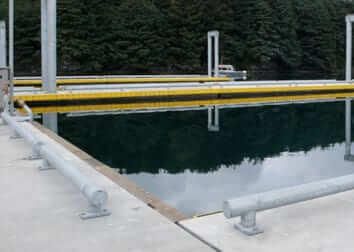 The 600’ West Attenuator is constructed of Alaska Yellow Cedar glulam-frames with HDPE-pipe flotation. 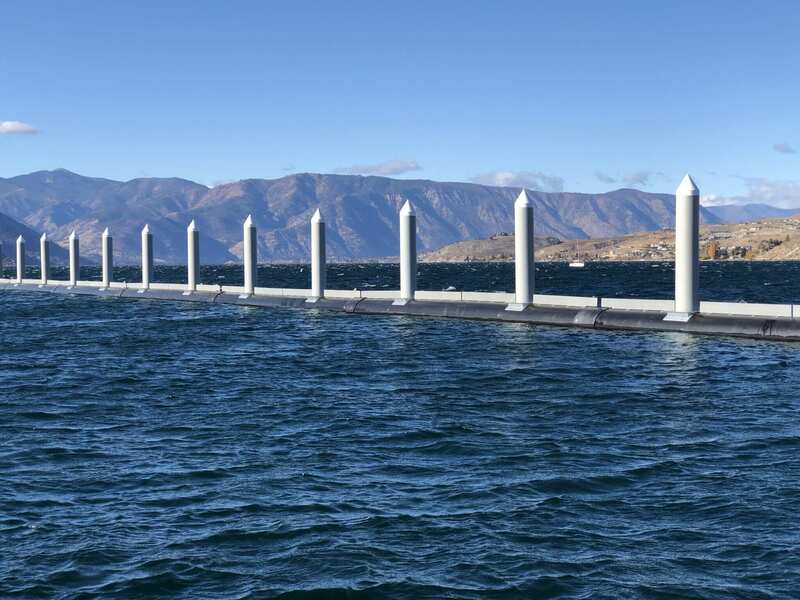 The North Attenuator is an additional 580’ and is comprised of 48”-diameter HDPE pipe, 4’ wide and 6’ of draft. 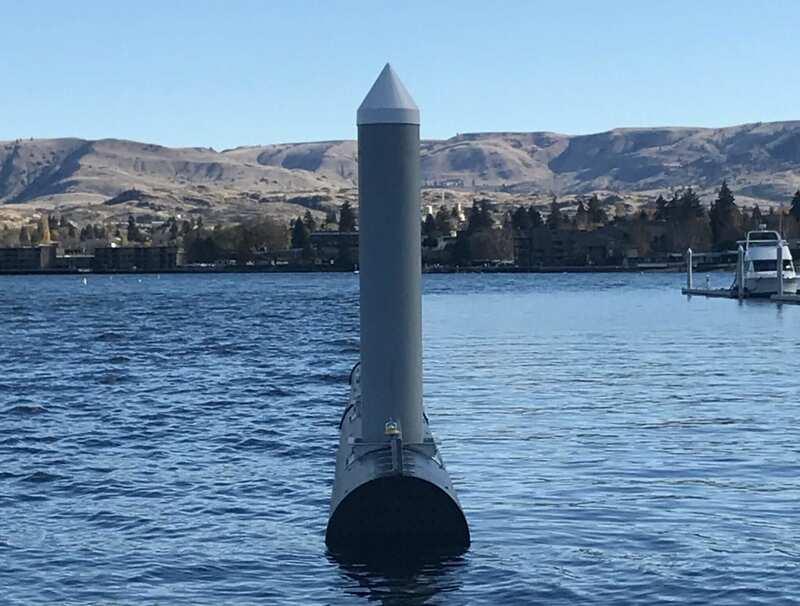 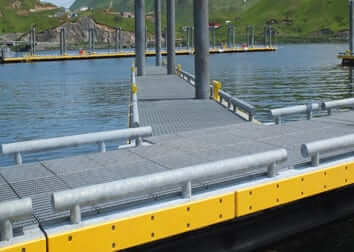 Both float systems are designed to operate in wind-driven waves 5.2’ significant height and 3.5-second period.